InshaAllah we are going to talk about the lata’if ul Qalb, and the Levels of the Heart and the understandings of the level of the heart. When we put all of teachings in the understandings of the lata’if and the Heart, one important understanding is that the heart of the believer is the house of Allah (Azza wa Jal). 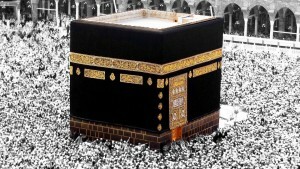 It is the House of the Divinely Presence which is a symbol of the Ka’bah. 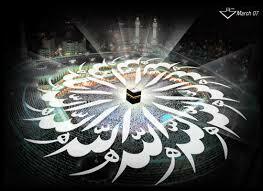 That the holy Ka’bah is a physical location in which lights are manifesting. Also within the heart of the believer are the Divine Lights, which the Divine has built the heart by the Divine Hands. The Ka’bah is something which we have built with our physical hands. 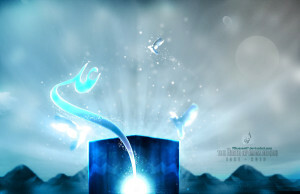 One is a representation of the Divinely Lights which Allah (Azza wa Jal) is manifesting Divine and Heavenly Lights. The other also Allah (Azza wa Jal) will begin to manifest Divinely Heavenly lights upon the heart of His believer. The believer who submits himself and tries his best to to submit themselves to the will of the Divine. Thy Kingdom come Thy Will be done on Earth as it is in Heavens. This is the du’a of all faiths: yaa Rabbi let Your Kingdom come within my heart, let my heart submit to you so that Your Heavenly Kingdom comes within my heart. If in dunya we can achieve, then imagine the reality of Akhirah (hereafter) that Allah (Azza wa Jal) is opening for the soul. So then they begin to teach through Holy Qur’an that Allah (Azza wa Jal) says: I am with four categories: Nabiyeen, Siddiqeen, Shuhada and Saliheen. 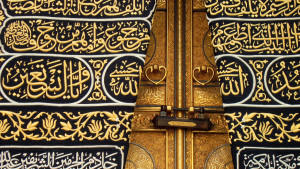 In the Holy Ka’bah as soon as you enter into the presence of the Holy Ka’bah, there is a door and four corners. And the heart has four arteries, and it is not by coincidence. That is symbolic of the reality Allah (Azza wa Jal) the Divinely Presence wants us to know that: if you want to be with Me, I am with Nabiyeen, Siddiqeen, Shuhada and Saliheen, I am with these four characters, four personalities of insaan, of the perfected beings on Earth, you will find Me with them. Then Mawlana Shaykh begins to teach, because we are trying to open the house of God which is the lata’if of the heart. So one is the physical and then this [Lataiful Heart] becomes the world of light and the eternal. The physical we have to go for Hajj, a pilgrimage, because we are completing the principles of our belief, the pillars of our belief, the principles of faith. But as you move on a pilgrimage in life through the physicality, more important is also the pilgrimage of the soul, and the reality of what Allah (Azza wa Jal) wants for the soul, that which is eternal. Means that the Divine is teaching: that I am at that first corner in life, if you are really circumambulating for My Divinely Presence, all your life you should be circumambulating. So Mawlana Shaykh describes that every prayer is a Hajj, every prayer we are moving towards the Divinely Presence. Then all your life should be circumambulating around the Divinely Presence. And everything in this universe circumambulates with that reality; every electron circumambulates the power of the nucleus. 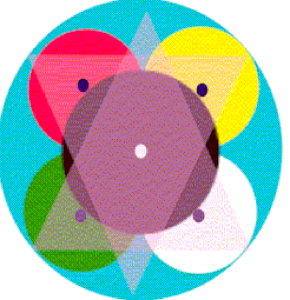 The nucleus is the energy and the source of realities, and the electrons are circumambulating counterclockwise. 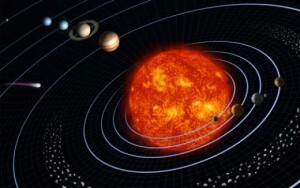 The Earth circumambulate the Sun; entire universes and galaxies are circumambulating its center and the center of power. The Divine is teaching all your life you should be in the company of these four. 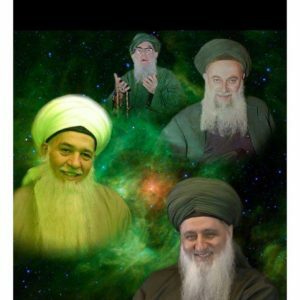 Mawlana Shaykh begins to teach that these four are connected. That the Saliheen (Pious) those who are pious in life, try to seek out an association of the Saliheen because we want to always be with the Ka’bah, we always want to be with Allah (Azza wa Jal). These are the four categories, that yaa Rabbi keep us in the presence of these four personalities, that these four characteristics of the perfected beings, that we should find ourselves always in their company. Then Allah (Azza wa Jal) describes: be with the Saliheen. So then we seek out the association, Saliheen means “pious servants”, not that they call themselves pious but pious through their actions and through their associations. So we find however we seek in life, we find the associations of the Saliheen (pious servants). They are chanting, praying doing charitable acts, trying their best to submit themselves to the Divinely Presence, sacrifice from themselves to be of service to the Divinely Presence. Then Mawlana Shaykh is teaching that that corner is directly connected to the next corner in your tawaaf (circumambulation). 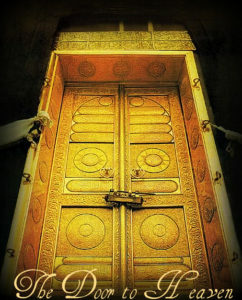 That from Saliheen which is the first corner `alayhi ‘s-salaamright at the door of the Holy Ka’bah. The first corner that you begin your tawaaf, those are the Saliheen. Means all your life you should be in the company of the Saliheen, all your life you should be making tawaaf because all your life you want to be in the presence of Allah (AJ) and under Allah’s rida and satisfaction. Means that the 2. Shuhada (Martyrs), 3.Siddiqeen (Truthful) and 4. Nabiyeen (Prophets) because it is going the reverse way. Nabiyeen is the black stone, Siddiqeen are the far corner, Shuhada the next corner and the Saliheen are closest to us. So as soon as you are entering the door of the Ka’bah is there, the Saliheen which is your left shoulder. So then Mawlana is teaching if all your life you are with the Saliheen, how do you know they are Saliheen is that they must be directly connected to the next corner which are the Shuhada. The Prophet (sallallahu `alayhi wa sallam) was teaching his Companions, “I am not going to be with you. Our struggle and our fights, my message is delivered. 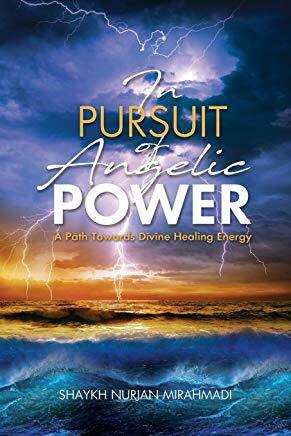 The bigger battle for you now will be…there is no more physical fight but your spiritual fight.” That you have to fight against your demons, you have to fight against your bad desires. We have to fight against the oppression within ourselves, the disbelief within ourselves. That is what Mawlana Shaykh was teaching us that all of Holy Qur’an and all the verses of Holy Qur’an in reference to unbelievers and the harshness of coming against unbelievers Prophet (sallallahu `alayhi wa sallam) teaching: that is for you. The greatest demon is your demon. The greatest satan is the satan that occupies within your being and the greatest disbeliever is our nafs (ego). So that fight is with me and my disbelief and my bad characteristics that are stopping me from making my tawaaf, from making my circumambulation. That are stopping me from Divine Lights entering into my heart so that the Kingdom of Allah can reign upon the throne, upon the heart. So then if we want to know the group we are with is Saliheen they must be directly connected, a living not someone who has passed, must be living Shuhada amongst them what others call Ahlul Baseerah. Their hearts are open. They died of desires and Allah (Azza wa Jal) opened their hearts. They are the big mujtahids the ones who have sacrificed themselves, Allah found sincerity in them and ordered the opening of their heart. If there is no Shuhada amongst those Saliheen, then whatever they did it didn’t work for their heart to open. So if you sit with them 20 years, why would your heart open? Very common sense, you find a group and ask, “Is there anybody here amongst Ahlul Baseerah (people of divinely vision), who have heavenly knowledge and have an understanding of the open heart?” They say , “No.” Then why would my heart open if I sat with you guys, whatever you did didn’t work, why would it work for me? So then Allah (Azza wa Jal) is teaching, Prophet (sallallahu `alayhi wa sallam) is teaching, Mawlana Shaykh is teaching, this is like a train that is all connected, what we call the Shajarah, the tree, the Silsila, not only in the Silsila but in the association. Then the Saliheen are receiving their power, righteous servants, pious servants are receiving their power because amongst them is a Shuhada that their heart is open and Allah is emanating energy and tajalli through their heart. How are they emanating tajalli? Because of that of the Shuhada is directly connected to a big Siddiq (Truthful), because who is he witnessing? The Shuhada are witnessing. when they witness their faith is real. So they are witnessing the other corner the corner of the Siddiq. 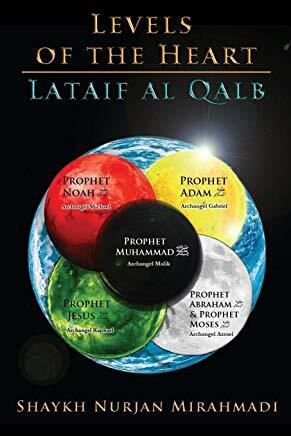 Tariqat an Naqshbandiya [Islamic Spiritual Path of Naqshbandi], means they witness the realities of Sayyidina Abu Bakr as-Siddiq (qadasallahu wa sirruh) and they witness the realities of Imam Ali (`alayhi ‘s-salaam). They are witnessing their realities they are witnessing their dress, they are dressed and manifested by their light and this now is a living line of energy coming through them. It is not an imitated tawaaf (circumambulation). We make an imitated tawaaf that one day for the reality to open. 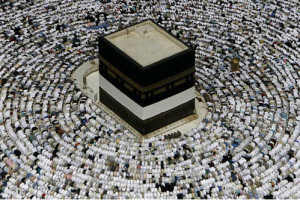 Their tawaf is real and they live a life of constant tawaaf is that they are always in the company of Saliheen and they are always connected to the big Shuhada. The biggest one of the Shuhada, is now coming onto Earth is Sahib az Zaman (Owner of the Time), Sayyidina Muhammad Mahdi (`alayhi ‘s-salaam). “Mahdi” means he is the Muhammadan Hadi, he is “the most guided soul” on this Earth to prepare the world for the arrival of Sayyidina Isa (Jesus) (`alayhi ‘s-salaam). Means they are teaching, that martyr the one whose heart is open must be directly connected to a big Siddiq, and these are the big Tariqas. They must also be witnessing Sayyidina Abu Bakr as-Siddiq, must be witnessing Imam Ali (`alayhi ‘s-salaam), must be witnessing the purification and the reality of the Holy Companions. We said before that the Companions want to convey with their soul their realities. Sayyidina Uthman wants to convey the secrets of knowledge, that he was the given the responsibility of compiling the Holy Qur’an. 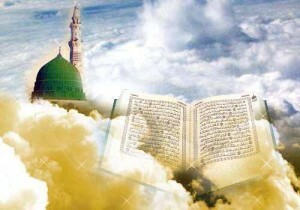 In time of Prophet (sallallahu `alayhi wa sallam) there was no manifestation of Holy Qur’an, because Prophet (sallallahu `alayhi wa sallam) was the walking Qur’an. 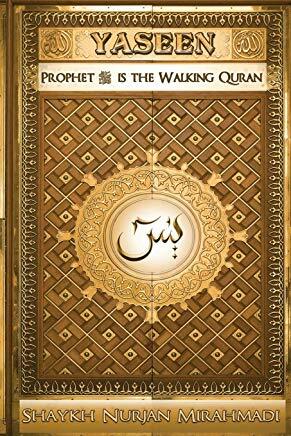 When the walking Qur’an is there there is no permission to manifest it in a kitaab. So Prophet (sallallahu `alayhi wa sallam) hides his reality and goes to his eternity and as a result Sayyidina `Uthman is given permission to compile the Holy Qur’an. You have to stand for truth and you have to come against oppression. Again they are from the big Shuhada, saying that come and struggle in the way of Allah (Azza wa Jal) against yourself. Then Sayyidina Abu Bakr As-Siddiq comes and says: I am going to give you a Siddiqiyya characteristic, truthful. Prophet (sallallahu `alayhi wa sallam) describes Sayyidina Abu Bakr as-Siddiq as the one who gave away everything for the love of Prophet (sallallahu `alayhi wa sallam) and established that you have to love Prophet(sallallahu `alayhi wa sallam) more than you love yourself. Whatever prophet it is, you have to love that prophet (`alayhi ‘s-salaam) more than you love yourself. Something has to be dear in our life than myself, otherwise I am always thinking about myself. When something is dearer to you than yourself, you are now becoming towards the ocean of selflessness, to lose the importance of the self. That they are the owners of the holy oceans of al Kawthar. Allah (Azza wa Jal) describes: then they are going to teach you how to pray unto your Lord and live a life of sacrifice. Sacrifice desires, sacrifice your wants, sacrifice all your characteristics and leave them on the table. That I am sacrificing myself from my bad characteristics for Your Divinely pleasure and they takes us to the presence of Sayyidina Muhammad (sallallahu `alayhi wa sallam). So the last corner they are connected to, they are connected to all the Siddiq’s and Companions and their lights are going to come and dress us and bless us and perfect us to take us to Hajr al Aswad, the heavenly corner. That corner Allah (Azza wa Jal) wanted us to know that it is not [the same], it looks like every other corner but it has a very deep Paradise reality. you are now coming to the corner of the Prophet (sallallahu `alayhi wa sallam) and its not like the other corners. So Allah (Azza wa Jal) sets an example by putting a heavenly stone (at that corner) to say: this is the Paradise reality on this Earth. That these Siddiq’s are preparing you for a Paradise encounter, an eternal encounter. When they take the soul into the presence of Prophet (sallallahu `alayhi wa sallam), that meeting and that association is an eternal association. 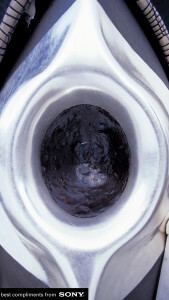 They say just you kiss Hajr al Aswad, you kiss that stone from Paradise which is symbolized by angels. There is an angel inside Hajr al Aswad, by kissing the Paradise reality you are eternally of the Paradise reality. You cannot touch something from Paradise and not be from Paradise. It reverses everything. So then the Siddiq’s are teaching from the Levels of the Heart, when you are constantly making a tawaaf they perfect the character to take us to the presence of that which is eternal means now let us to the presence of Sayyidina Muhammad (sallallahu `alayhi wa sallam). Mawlana Shaykh is teaching with one salawat: Allahumma salli ala sayyidina Muhammad, wa ala aali Sayyidina Muhammad [O Allah send Peace and Blessings upon our Master Muhammad (saws) and upon the holy family of our Master Muhammad (saws)] Allah opens the reality of the soul to be present with Prophet (sallallahu `alayhi wa sallam). 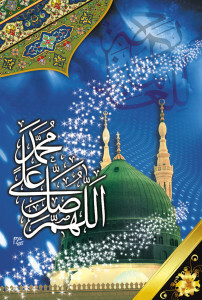 Prophet (sallallahu `alayhi wa sallam) promised that I will give you back ten salawaats. Ten salawaats that have no time. We are talking about a dimension of light, not physical dimension, everybody thinks in the physical. Think in the world of light when Prophet (sallallahu `alayhi wa sallam) is coming from the world of souls and says: you praise and pray upon me one time and God will send my soul to praise upon you ten times, with no time. So those ten are ten hijabs, ten veils of light that have no beginning and no end. That dress if Prophet (sallallahu `alayhi wa sallam) grants that dress, what happens now in the presence of the Ka’bah? You come and you are right there [Shaykh points to the door of the Ka’bah photo]. As soon as Allah (Azza wa Jal) grants you to kiss the hand of Prophet (sallallahu `alayhi wa sallam), to come into the presence of Sayyidina Muhammad (sallallahu `alayhi wa sallam), to make darood shareef it is a gift from Allah (Azza wa Jal). Allah (Azza wa Jal) allows us to make a praising upon Sayyidina Muhammad (sallallahu `alayhi wa sallam) and allows the soul to be dressed from that reality and takes us now to the door of that heart. Means that opens the door to the Divinely Presence. This was all symbolic of a deep spiritual reality. 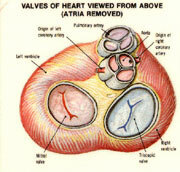 That is the heart with four valves, you have four valves on your heart. They are meant to take us around, perfect us and take us in through the door. 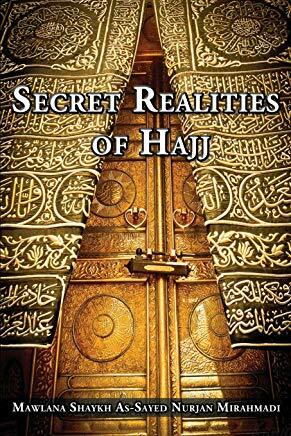 They say the reality of the Holy Ka’bah is the house of all the souls of Awliyaullah (saints), that they have a portion of their soul inside Allah’s Ancient House. They merely call upon the Ka’bah, give salaams and they can witness everyone making tawaaf because one of the homes of their soul must be where Allah (Azza wa Jal) is saying is holy. So a light from their soul is always within that reality, and as Allah is sending a manifestation of light, He is dressing upon their souls. From that light 124,000 Awliyaullah are receiving that tajalli. Wherever they walk they are a qibla (). 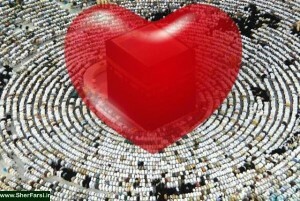 Qibla means you look at them and get your cordinance for prayer, you understand what you are supposed to do. You do not worship them because worshipness is for Allah (Azza wa Jal), and you better not be worshipping the Holy Ka’bah. When you say, “Allahu Akbar,” you are not worshipping the stones, you are praying to Allah (Azza wa Jal) in the direction of the Ka’bah. What holier direction…you can’t say more than that, but that light goes into the soul of pious people, wherever they are they are are a qiblah. They (Awliyaullah) encourage people to the worshipness of Allah (Azza wa Jal) and to the love of Sayyidina Muhammad (sallallahu `alayhi wa sallam). And their heart is a living heart, qalbun mu’min baytullah. Allah’s Light and tajalli and love of all prophets is occupying their heart and they are living Ka’bah, means the people who are in their vicinity are constantly making tawaaf into those realities. Then they begin to teach that is the understanding of Yaa Sayyid, Yaa Sahib, Yaa Siddiq, Yaa Rasul, Yaa Allah. Means yaa Rabbi keep us always in the presence of the Saliheen. Keep us in the presence of Nabiyeen, Siddiqeen, Shuhada, wa Saliheen. That keep us in the presence of these four characteristics and four perfected souls to reach the perfection of the heart and to reach the Divinely Lights. Subhaana rabbika rabbil izzati `amma yasifoon wa salaamun `alal mursaleen walhamdulillahi rabbil `aalameen.